Do you ever wonder why some word usage mistakes are so common in real estate blog posts? I’m beginning to think that it’s because people see these errors so often they begin to believe they’re correct. Meanwhile, those mis-used words can destroy your message – and even cause clients and would-be clients to think less of you. It’s best to use the word you mean. Strangely, I don’t see the opposite. So far, I haven’t read where anyone said “Please advice me.” This one may have a secondary reason for being so common, and that reason is Word’s grammar checker. I discovered that a couple of years ago when Word tried to tell me to use the wrong word. Next is a tricky one – the difference between effect and affect. It’s tricky because there are a few exceptions to the rule. 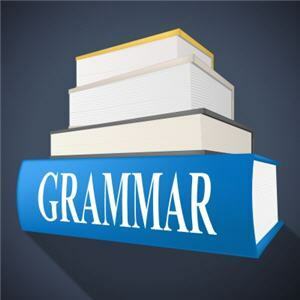 The good news, as you’ll see in this post: real estate marketing grammar: Do your marketing efforts have an effect or an affect?, is that you will probably never need to use the exceptions. How about prospective vs perspective? Yikes! I keep seeing people talk about perspective buyers or sellers, which is really impossible. According to dictionary.com, Perspective has a Latin root meaning “look through” or “perceive,” and all the meanings of perspective have something to do with looking. If you observe the world from a dog’s perspective, you see through the dog’s eyes. In drawing, perspective gives your drawing the appearance of depth or distance. You could say your client has a different perspective on pricing, etc. – but that’s about the only way you could tie that word to a buyer or seller. Strangely, this form of the two words is the only place I see them misused. No one writes that they’re sending perspecting letters, and no one calls a new lead a perspect. So if you ever get confused and can’t decide which to use, remove the “ive” and think is this person a “prospect or a perspect?” The answer should be clear. Of all the common errors, I think this one makes me cringe the most. “Myself” is a reflexive pronoun – it can only refer back to the speaker. And finally – some bloopers that will make you laugh or cringe. Many of them did come from Active Rain posts, but thankfully, they aren’t common: real estate marketing grammar: Ouch! Wrong Word! I have a hunch that most of these came from using voice recognition software – and failing to take a few minutes to proofread before uploading.